This book is pretty enough for your coffee table. But it won't stay there. 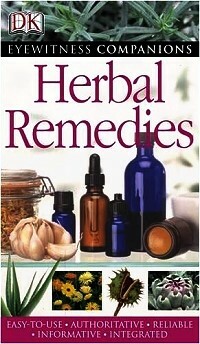 This is a dynamic book that summons herb gardeners to use the herbs they grow and herb users to grow the herbs they use. 550 herbs are profiled with photos and details of what they are used for, which part is used and how it is used. But, Mr. Chevallier doesn't stop there. He instructs you with color photographs and hands on instructions how to make the preparations needed. He not only tells you that a lotion of Lemon Balm is used for cold sores but how to make that lotion for yourself. ; It covers everything from making your own tablets to making your own tonic wine. The emphasis here is on fresh from the garden potency. 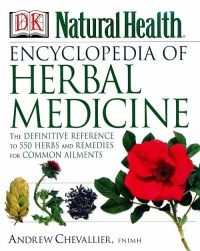 ; There is a large chapter on specific ailments that is cross referenced with the plant pages. There is even a section on making an herbal first aid kit. This is the perfect book for those who want to rely on knowing the herb they are using is the correct one, and that it is fresh and organically grown.